Today we’re excited to announce the new Salesforce Developers Discussion Forums. We can't wait to hear what you think! 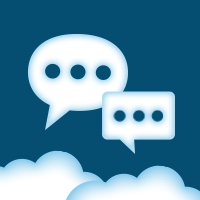 Today we’re excited to announce the new Salesforce Developers Discussion Forums. We’ve listened to your feedback on how we can improve the forums. With Chatter Answers, built on the Salesforce1 Platform, we were able to implement an entirely new experience, integrated with the rest of the Salesforce Developers site. By the way, it’s also mobile-friendly. We’ve migrated all the existing data, including user accounts. You can use the same Salesforce account you’ve always used to login right away. You’ll also have a great new user profile page that will highlight your community activity. Kudos have been replaced by “liking” a post instead and you’ll now be able to filter solved vs unsolved posts. This is, of course, only the beginning — and because it’s built on the Salesforce1 Platform, we’re going to be able to bring you more features faster than ever before. Be sure to share any feedback, ideas, or questions you have on this discussion forum post. Hats off to our development team who has been working tirelessly over the past few months to bring this new experience to our community. And thanks to each of you for helping to build one of the most vibrant and collaborative developer communities ever.